Robert Shiller, of the Case-Shiller home price index, took some time to speak with CNBC this week after his home price data was released for the month of May (which is an average of March-April-May home prices). 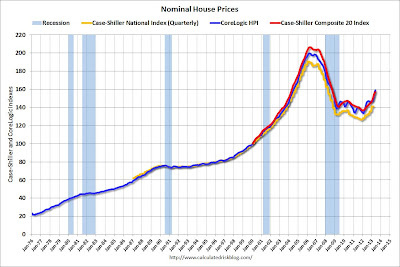 The following chart shows the Case Shiller home price movement in red with the Core Logic home price index in blue. Shiller continuously used the word "bubble" throughout the interview to describe the froth currently seen in many of the major real estate markets (video below). He sees tremendous momentum in the current real estate bubble and says that an investor today can probably survive the collapse if "they can get out in a year." Words that the flippers out there love to hear. The problems he sees beyond the current artificial momentum are the same we have discussed here numerous times. 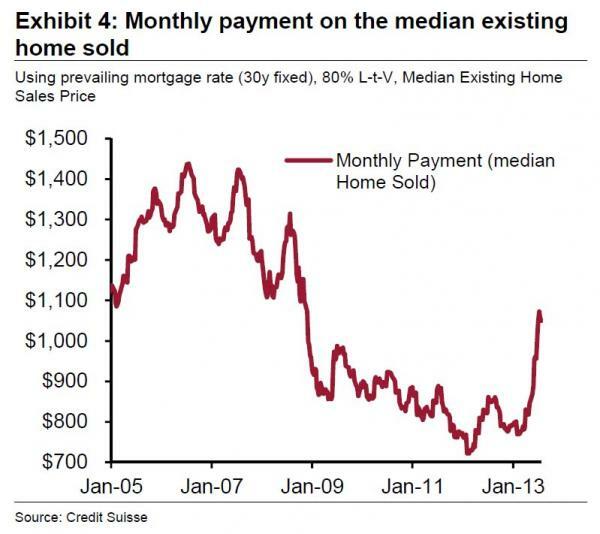 The first is interest rates, which as the chart below shows, has caused the average home payment to rise 40% in just the last few weeks. We know the real affordability has fallen even further than the chart shows because the opposite side of the ledger, how people make these payments (real income), continues to fall during our current depression. His second concern is the tremendous power that Wall Street has exerted on the market with the rent to own model. 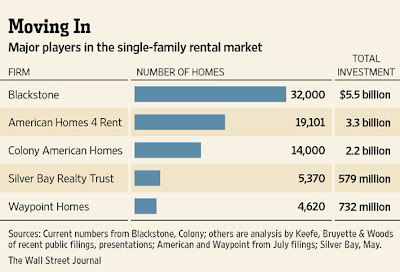 The following shows the enormous amount of inventory that Blackstone has been able to accumulate over the past few years, making them the largest home rental company in the country. This model has already begun to saturate some of the largest markets. The following is a snap shot of the available inventory to rent in the Phoenix market in March of this year. 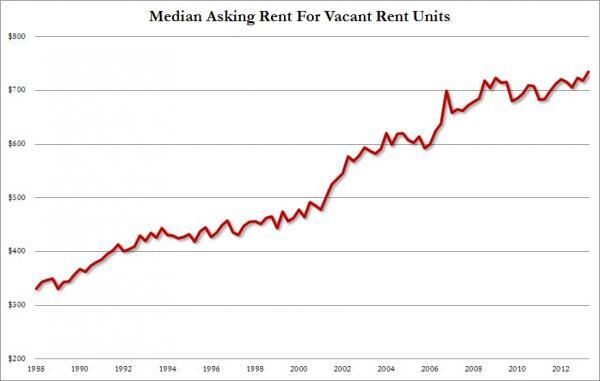 While we know that supply is soaring, what about the other half of the economics curve; rental prices? 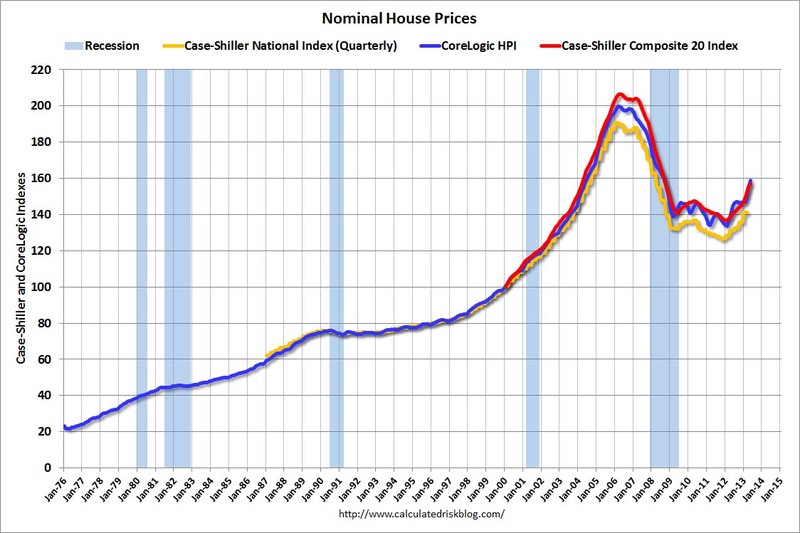 The following charts shows that home rental prices have continued to reach a new high month after month. Along with record low interest rates, the large banks purchasing these properties have priced in a continued rise in these rents. This of course will be an issue if the all important real income in America, what is used to make rental payments every month, continues to decline. 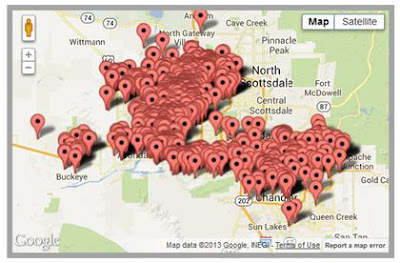 Or if the supply pictures like the ones shown above continue to swell. 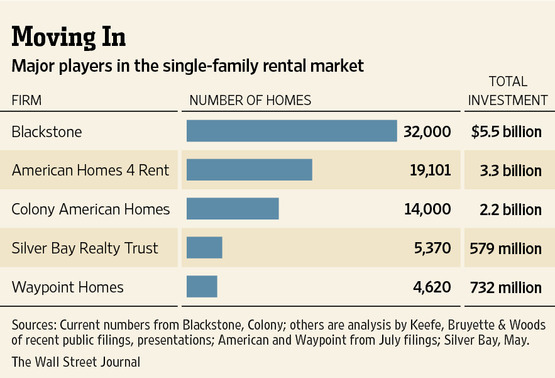 This is why Blackstone is already in discussion to create a new Rental Mortgage Backed Security. The same type of structure used to bundle mortgages back in the early 2000's will now be used to bundle rent payments. I hope I don't have to explain how this story will end, as you only need to pick up one of the countless books about the 2008 financial crisis to learn about it. We need to pursue our goals to have a good status in our Real Estate Investments Australia. Take care of our business well and we must understand that our business will be successful if we know how to achieve it well for our business. In order for us to fulfill our duties, we have to make sure that we will learn something that will help us in the future of our business. Our agent was a true professional, he answered all our queries and was very clear about the whole process. He even told us about his upcoming work schedule so that we could get a better response time. I recently bought a condo in Louisville, Kentucky through Meg Wilburn, of the Joe Hayden Real Estate Team and would highly recommend her as an agent. I visited here in February to start a search, however my condo in Myrtle Beach had not yet been sold.